Receiving a cancer diagnosis is a life changing event and you and your family may experience a wide range of emotions and have a lot of questions and concerns throughout your cancer journey. 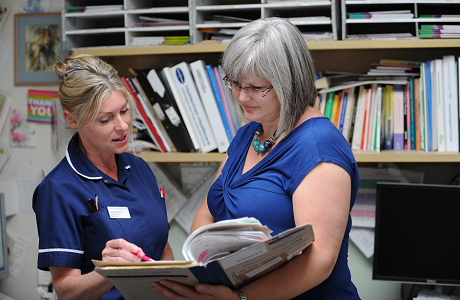 Your Clinical Nurse Specialist (CNS) is available to provide ongoing support from the initial investigations leading to diagnosis, throughout your treatment and on to living with and beyond cancer. They will provide you with any necessary information, answer any questions and provide emotional support and guidance to you and your family. How is your care planned? 01932 722311 Lindsay Futter for Mr Johnson, Mr Bashorun and Ms Lawn’s patients. 01784 884607 Michelle Lutchman for Miss Shrotria and Mr Kothari‘s patients. 01932 723385 Tania Swarbrigg (Mon, Tues and Fri am) for Dr Neal and Dr Teoh’s oncology patients. Ashford Breast Clinic is based in Jasmine Suite on the first floor. 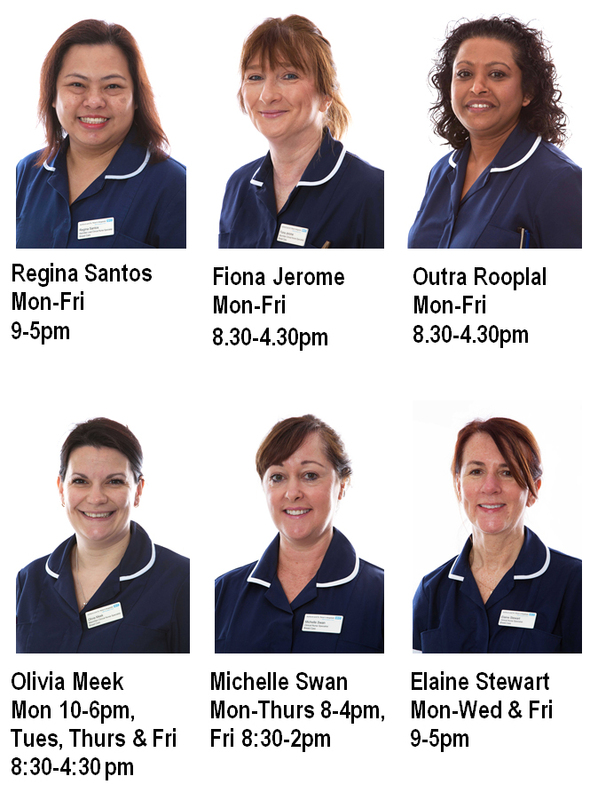 St Peter’s Breast Clinic is situated in the Outpatients department on the 3rd floor next to the reception area. Our working hours are Monday - Friday, 8:30am - 4:30 pm. 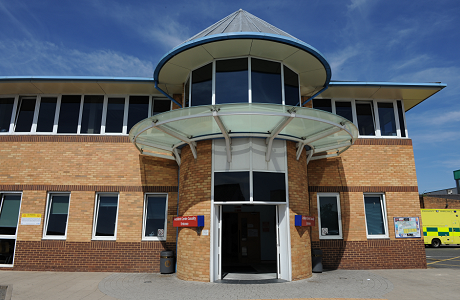 Your care is planned at a Multi-Disciplinary Team (MDT) meeting which is held weekly. The MDT consists of Surgeons, Medical Consultants, Radiologists, Histopathologists, Oncologists and Clinical Nurse Specialists (CNS). The investigations that have been performed are discussed and a treatment plan is agreed by the team. Treatment may involve one of the following; Surgery, Chemotherapy, Immunotherapy, Radiotherapy, Targeted Therapy and Hormone Therapy or a combination. You will have the opportunity to meet with your doctor and CNS to discuss your treatment plan at an outpatient clinic appointment where specific information will be given to you, including the possible side effects of the treatment and support services available to you. We encourage patients to attend clinic appointments with a family member or friend for additional support. 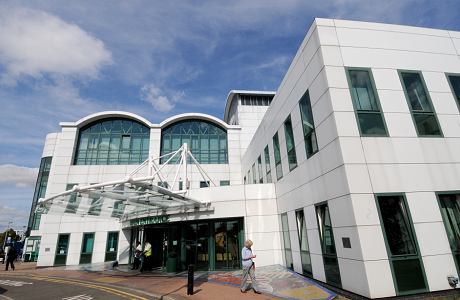 At Ashford and St Peter’s Hospitals we provide a patient-centred approach to your care, helping to support people living with and beyond cancer. We aim to provide a well-coordinated, holistic, personalised approach to your care. The National Cancer Survivorship Initiative’s (NCSI) aim is to ‘ensure that those living with and beyond cancer get the care and support they need to lead a healthy and active life as possible for as long as possible’. To help improve your cancer experience, the NCSI have developed The Recovery Package, which has been introduced and supported by Macmillan. The Recovery package consists of the following 4 components and will be discussed with you by your CNS. A Holistic Needs Assessment (HNA) will be completed at key points along your cancer pathway. You will have this assessment with your CNS either face to face or by phone. The HNA will address any physical, practical, family/relationship and emotional concerns you may have. Following the HNA a care plan will be discussed with you, providing support and information, possible referrals to other agencies such as Macmillan. A Treatment Summary will be completed at the end of your treatment, a copy will be sent to yourself and your GP. It provides important information including side effects and any other consequences of your treatment. It will also highlight any signs and symptoms of recurrence of disease. A Cancer Care Review will be completed by your GP or Practice Nurse within 3 months of your cancer diagnosis and will be the start of ongoing conversations between yourself and your GP throughout your cancer pathway. Health and Wellbeing events are held to provide information and support on work and finance, healthy lifestyle and physical activity and to help prepare you for the transition to a supported self-management programme. These events play an important role in moving forward to living with and beyond cancer. A Health and Wellbeing event is held annually at Ashford and St Peter’s Hospital as well as other informational events throughout the year. We have also developed a new mobile phone app so you can access essential information specific to your needs at the tip of your fingertips whenever you need it. To download the app, simply search for “Ashford and St. Peter’s Breast Care” in the app store. We believe that if you are well informed you are better placed to make decisions about your care and well-being, and better able to manage changes in your health. Ashford Breast Cancer Support Group (ABC) is a patient-led support group based at Ashford Hospital. Please contact Pat Morrison on 01784 252344 if you would like to attend. This is an established cancer service action group, consisting of patients, family members, carers and local community members. They gather experiences of those affected by cancer, to help improve cancer services at Ashford and St Peters Hospitals. If you are interested in joining or learning more about the group please contact the patient navigators: 01932 726856. Open Access Follow-up Programme - specially designed to support you when you have completed treatment. It is a type of follow-up, where you, the patient are in control which means that your normal routine will not be disrupted by regular hospital appointments and you can quickly gain access to the breast care team and hospital when you need it. You will be sent an appointment to attend a nurse-led consultation to discuss this with you along with the contact number for the open access telephone helpline (01784 884762) for advice and support. Macmillan Patient Navigators offer a single point of contact for all our cancer patients, family members and carers. They are available to answer questions, help with appointments and access local support services as well as provide support throughout your cancer journey. They work closely with your CNS and if the question or concern is of a clinical nature they will contact your CNS who will return your call. If you need further information Macmillan can assist you. Research is a key aspect of the work of the NHS. It is through research that we provide evidence upon which we base our care and treatments, and improve our treatments. The NHS constitution states that it is every patient’s right to be able to participate in a research study, should they wish to, and should they meet the requirements of the study. There are many ongoing cancer clinical research projects at Ashford and St Peter’s Hospitals, you may be asked to participate in a study by your Surgeon or Oncologist. We have introduced a Single Point of Contact phone number for patients: 01932 726856.